It’s official: Slash, Axl Rose and Duff McKagan plan to get working on a new Guns N’ Roses album this fall. In a new interview with Futuro 88.9 FM in Chile, Slash stated that after his current tour with his band Slash featuring Myles Kennedy and the Conspirators, the Guns N’ Roses crew will get back together for a short October tour and new music. 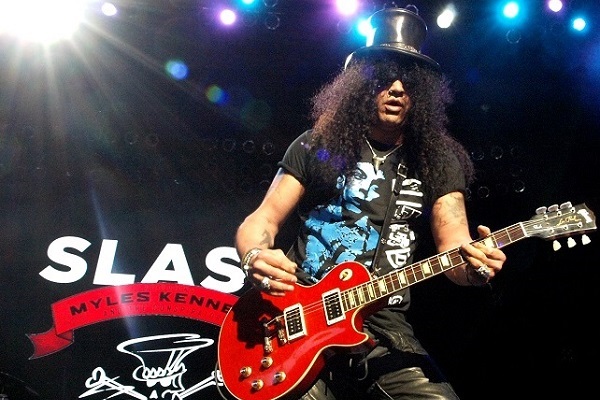 Slash elaborated on his GN’R plans, which include playing some yet-to-be announced live shows and working on a new record. Come September, Guns N’ Roses will headline the 2019 Louder Than Life festival in Louisville, Kentucky, alongside Staind, Disturbed and more. For more information on the festival, go here.